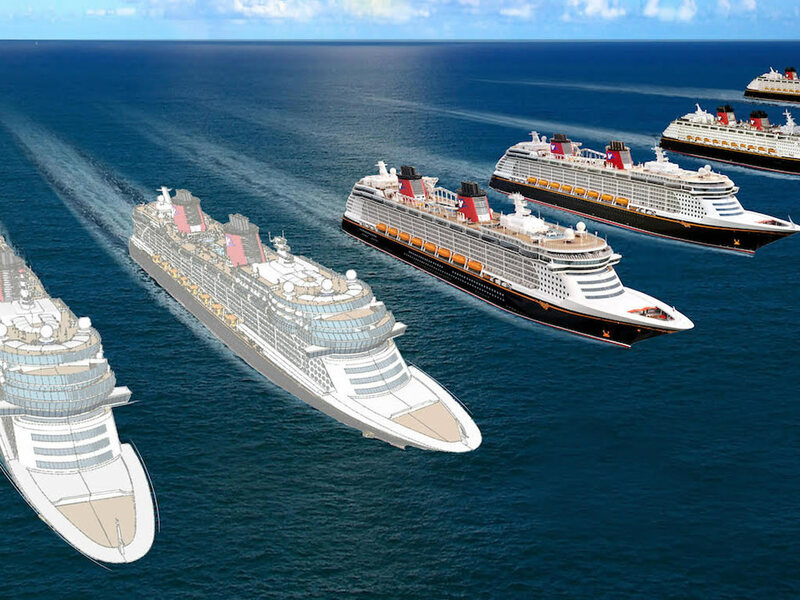 Reasons To Cruise > Cruise Blog > New Ships on Order > Disney Orders Two Cruise Ships – Will Europe Get One Year-Round? Disney, Star Wars, and Frozen fans rejoice! Family-favourite Disney Cruise Line has ordered two new cruise ships, expanding its fleet to six vessels by 2023! The 135,000 gross tonne ships will be slightly larger than Disney Dream and Disney Fantasy and will each have around 1,250 staterooms, equating to somewhere in the region of 2,500 passengers based on double occupancy. The Meyer Werft shipyard in Germany will construct the ships, with delivery pencilled in for 2021 and 2023. "We pride ourselves on the unforgettable vacation experiences we deliver to our guests each and every day, and the expansion of our Disney fleet will allow us to create even more magical memories for families at sea and in incredible cruise destinations around the world." The ships will undoubtedly build on the successes of the four ships in the fleet. When the cruise line launched Disney Dream and Disney Fantasy in 2011 and 2012 it introduced several firsts for the industry, including AquaDuck - a water coaster at sea - and Magical Portholes - virtual portholes in interior staterooms. These will no doubt be expanded upon and used as a basis for creating two great family-friendly ships in a way only Disney can achieve. Speculation on the ship names and anticipated features has begun in earnest. The fleet consists of Disney Magic, Disney Dream, Disney Wonder and Disney Fantasy, so the cruise line may stick to tradition and choose a word synonymous with the Disney brand. As for itineraries, anything is possible. It is very likely that the new ships will sail in the Caribbean and the Bahamas, perhaps enabling the redeployment of Disney Dream and Disney Fantasy elsewhere. Who knows, by the time we reach 2021/2023 there could be high demand in the Asian cruise market for a Disney ship. After all, many cruise lines will be dipping their toes into the China waters in the coming years. But I hope one side effect of launching two new ships is that the seasonal deployment of Disney Magic to Northern Europe and the Mediterranean could be extended year-round. When I toured Disney Magic the most disappointing aspect of the day (besides having to disembark at the end of it) was knowing the ship was only in Europe for a brief time. The cost of transatlantic flights for families quickly stack up, and the fear of travelling with a cranky child is enough to send shivers down the spines of would-be Disney cruisers. Short-haul flights to Europe (or no-fly options from Dover) make it far cheaper and easier for Brits to experience the magic and wonder of a Disney cruise without the hassle and cost of trekking half way around the globe for it. With Iceland, Norway, Scandinavia and the Baltics, the Netherlands, France, Belgium, Germany, and the countries that line the Mediterranean Sea all within relatively easy reach, there is scope to compile different itineraries that European Disney fans would love. Fingers crossed we will see Mickey on the open seas in Europe year-round come 2021! Where would you like the two new Disney ships to sail to? Leave me a comment below with your thoughts. 3 March 2016 21 February 2017 Disney Orders Two Cruise Ships – Will Europe Get One Year-Round?